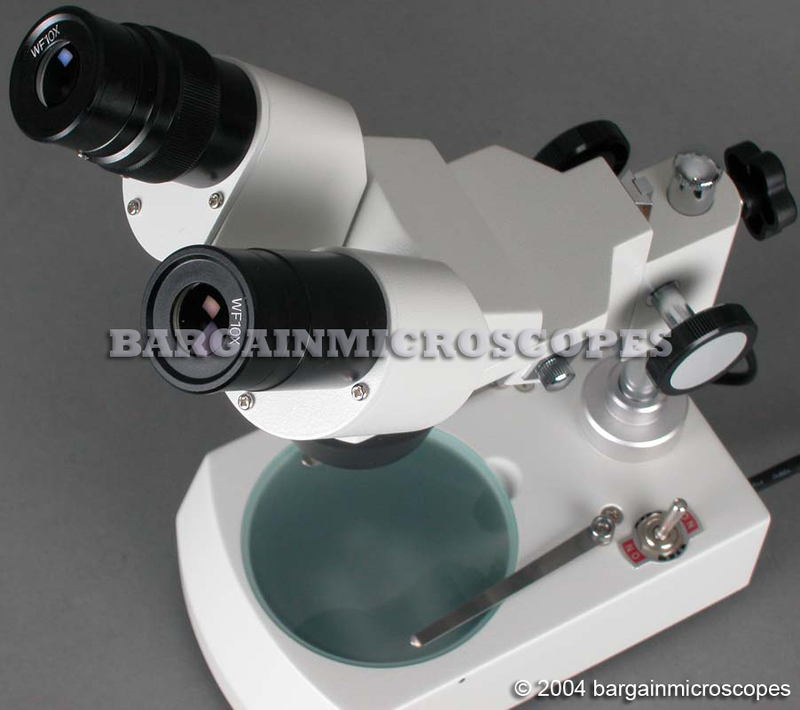 Super Low Price for a High Quality System! 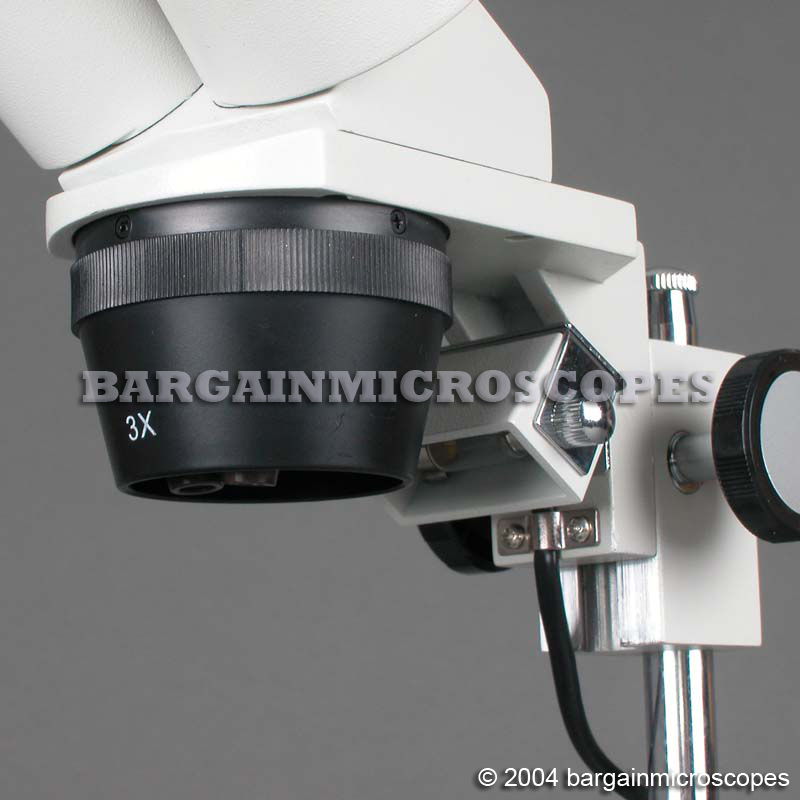 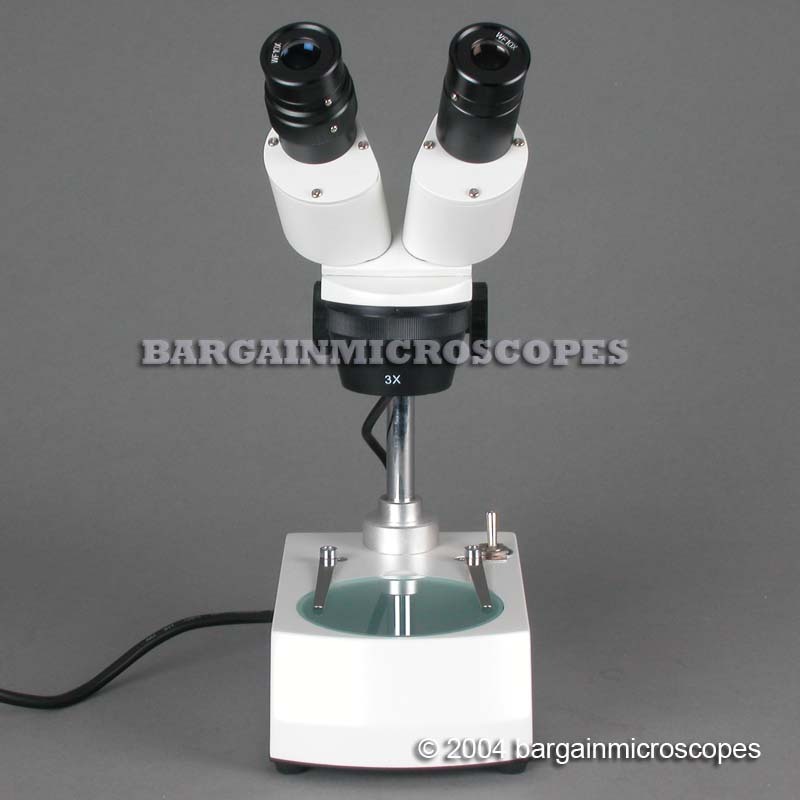 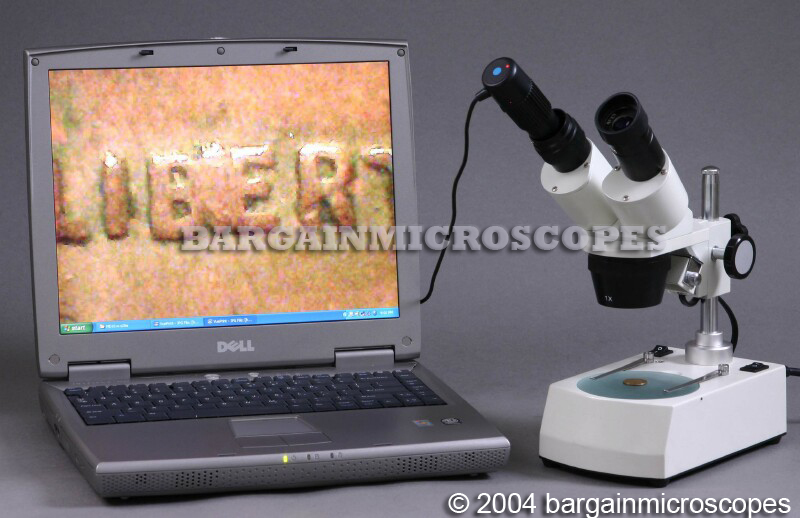 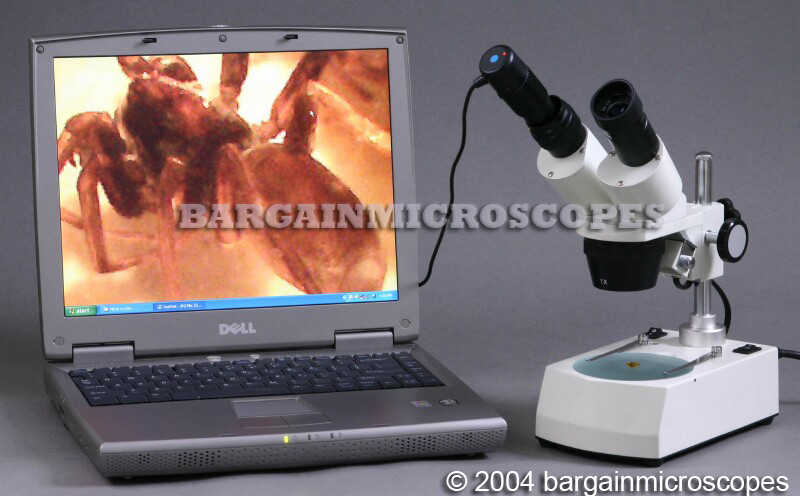 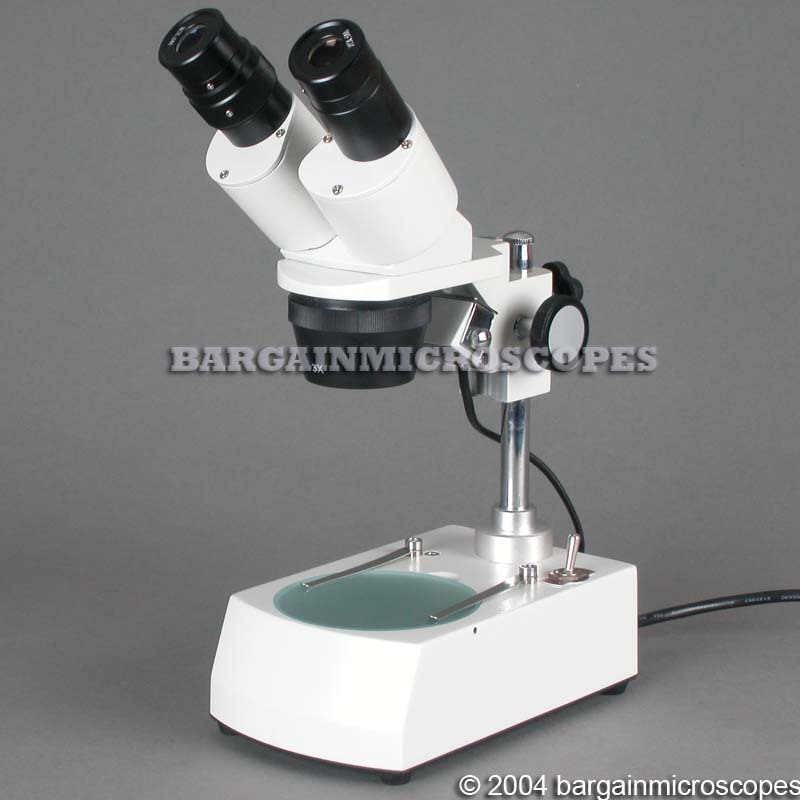 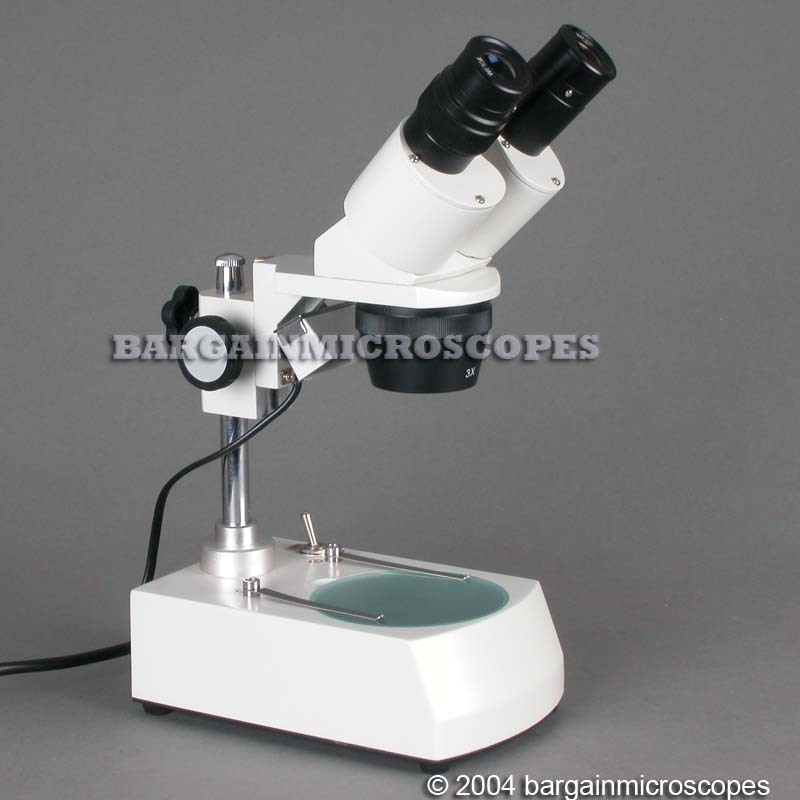 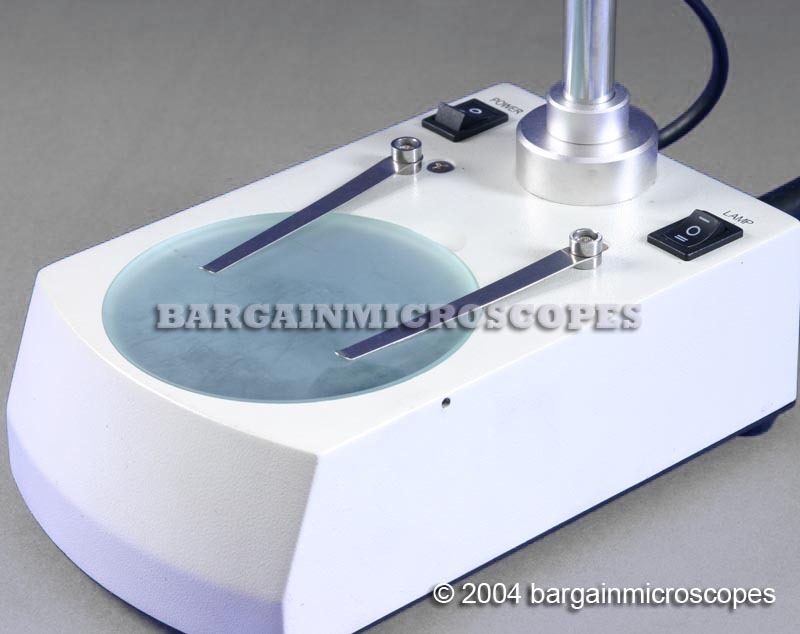 Stereo microscope for low power observation. 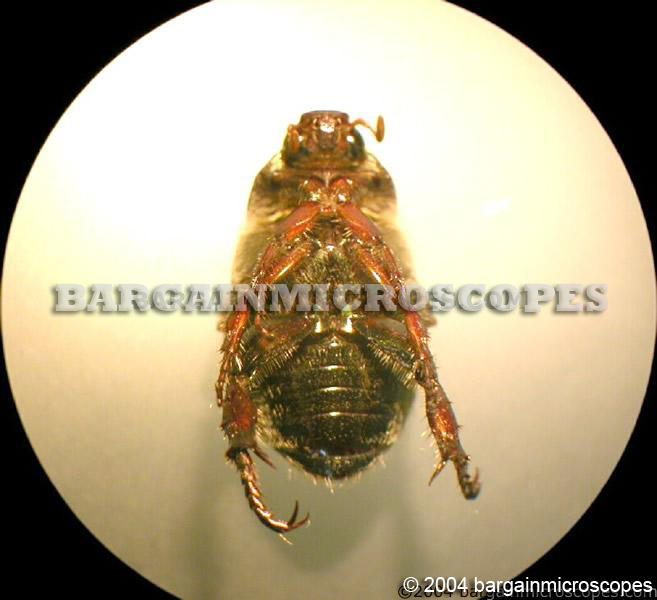 Upper illumination source for incident light shining on specimen. 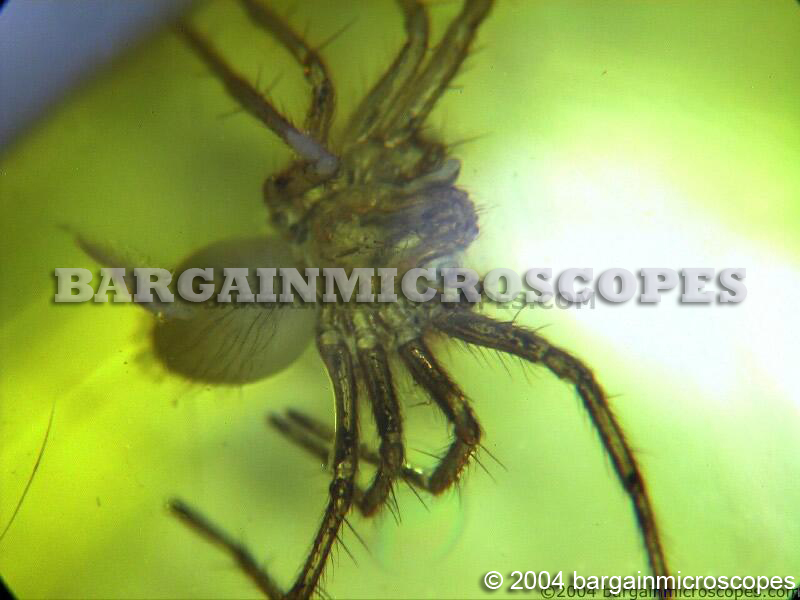 Bottom illumination source for transmitted light shining through the transparent specimen. 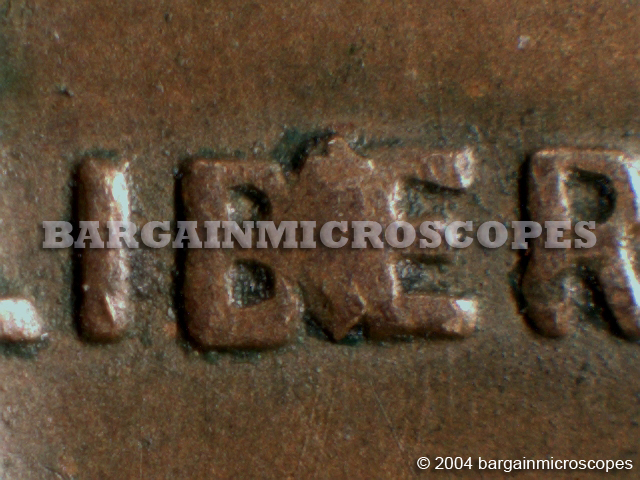 Working Distance, 53mm (2.1 Inch). 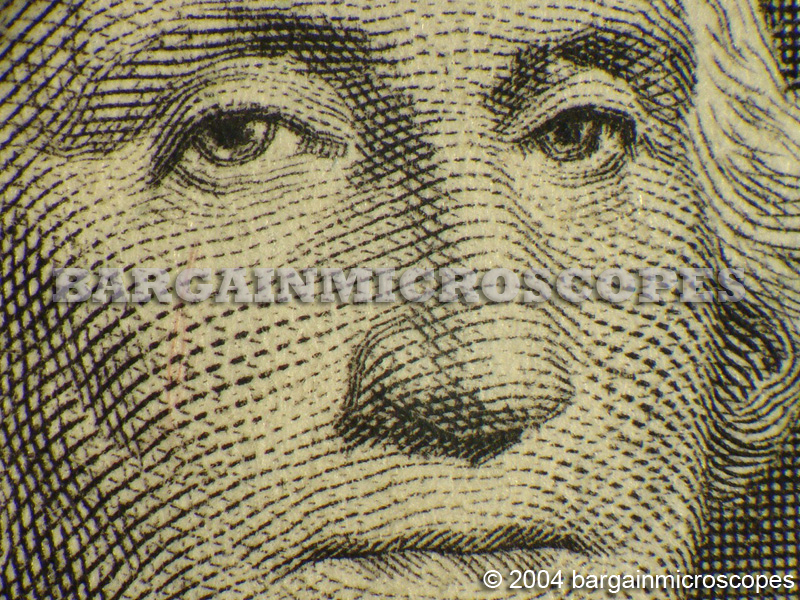 This is the distance under the scope head as it is in focus. 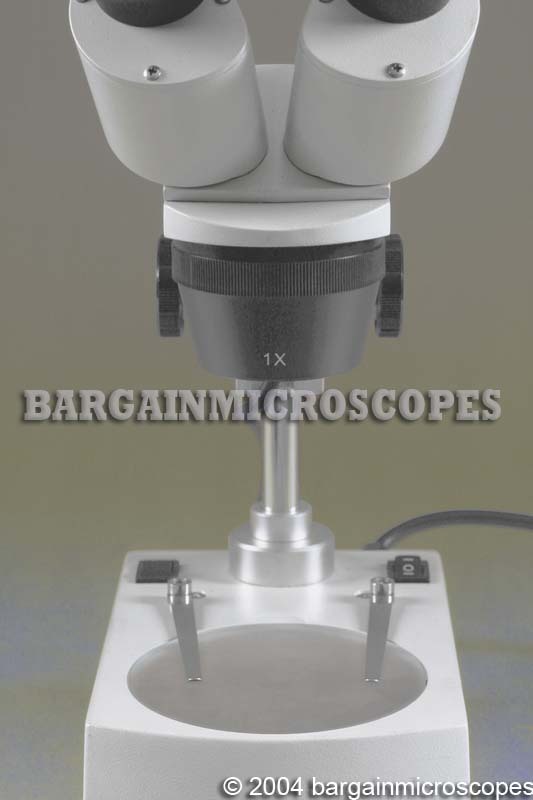 Maximum Working Area (Distance between Head and Stage when Head Raised all the way up): 130mm.